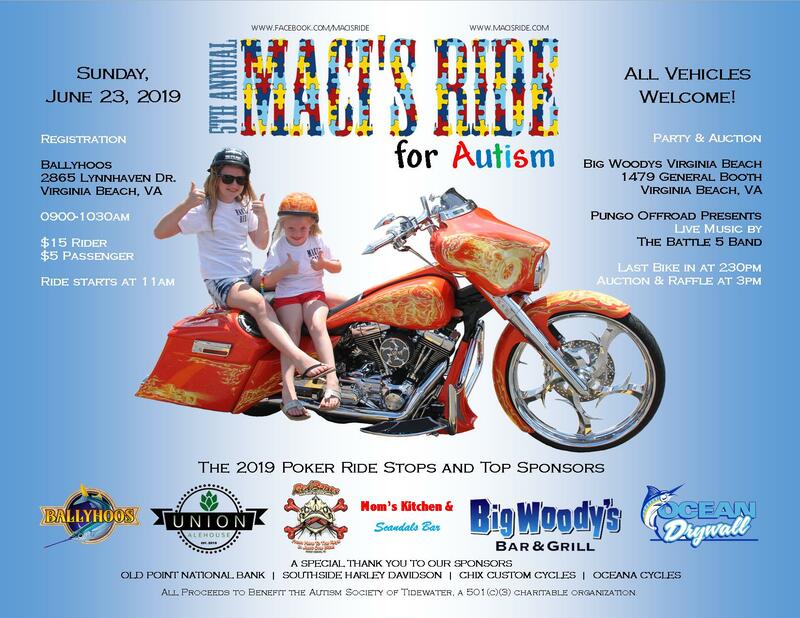 Maci’s Ride is an annual charity fund raising event in Virginia Beach, VA. All proceeds from this event benefit the Tidewater Autism Society which is a 501(c)(3) Charitable Organization. 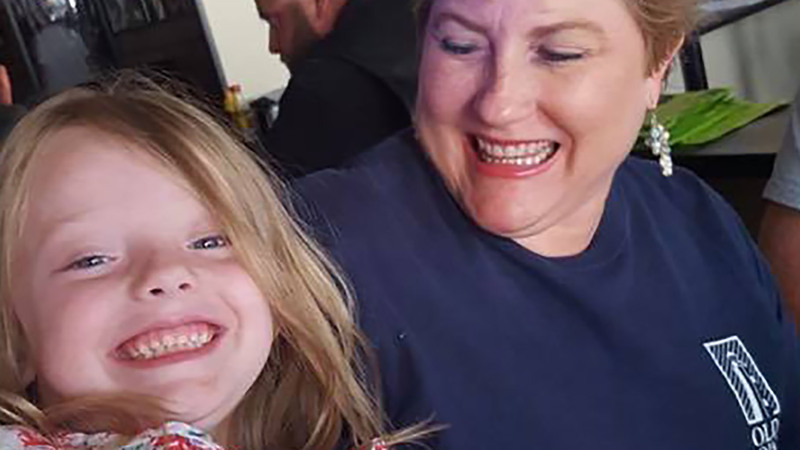 Autism Spectrum Disorder (ASD) affects more than 3.5 million Americans and according to the Centers for Disease Control and Prevention the disorder has increased 6% to 15% each year from 2002 to 2010. According to David S. Geslak, founder and president of Autism Workforce, Autism is the world's fastest-growing developmental disability. 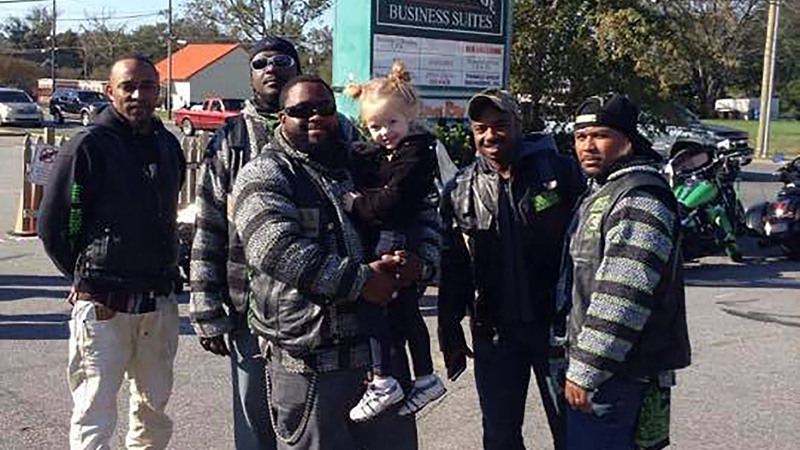 After seeing how the Tidewater Autism Society helped his granddaughter, Tom Gorney organized the first Maci’s Ride in October 2015 with 100% of the proceeds benefiting the Tidewater Autism Society. 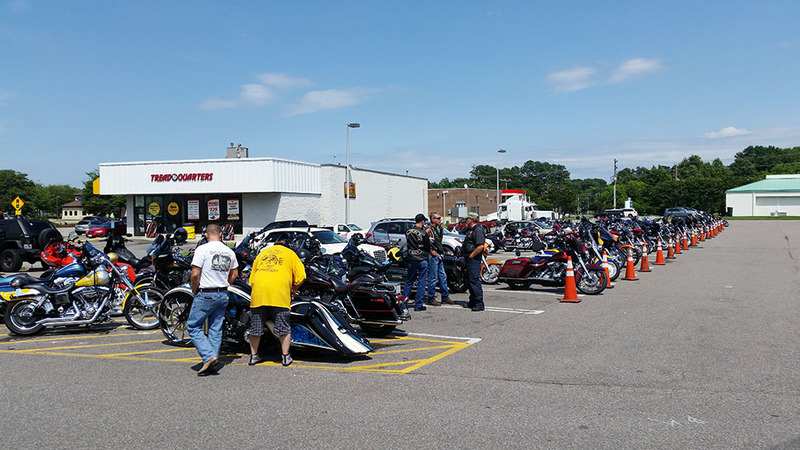 Since that first event, Maci’s Ride has been held the weekend following fathers day each year and has slowly grown in size, with the 2017 event raising over $3,000. 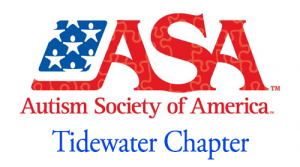 All proceeds to benefit the Tidewater Autism Society, a 501(c)(3) charitable organization.